Accepted as the most exciting family and honeymoon getaway, Andaman and Nicobar offers the most thrilling vacation experiences to the visitors. Located at the meeting point of the Bay of Bengal and the Andaman Sea, the archipelago has a wide range of leisurely activities that can make you feel refreshed and relaxed. If you dream to be at the most serene shoreline with fun-filled adventure, you cannot avoid being at the White Sand Beaches of the Andaman and Nicobar Islands. The weather is temperate and you will really love the setting between September to May. 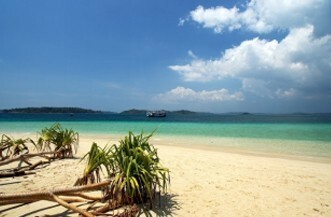 To discover the real sea-lover in you, get ready your bags and set out on a wonderful trip to the Andaman. 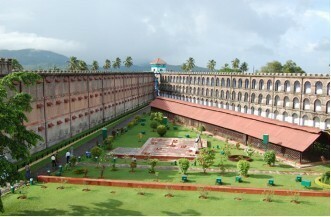 The view of the Cellular Jail is sure to fill you with respect for the great sons of India who sacrificed their lives for the freedom of the country. It is not just a historical monument, but is the witness of the pain and agony of the freedom fighters that even include Bahadur Shah Zafar, the Mughal Emperor who breathed his last here. It reminds the Colonial Era that continued for more than two centuries. Awarded as the Best Beach in Asia by TIME Magazine, Radhanagar Beach is believed to the most long stretch romantic beach in the Havelock Islands. Located at a distance of 12 Kilometers from the Havelock Islands, it is the most wonderful destination for the honeymoon couples. Your family and you would certainly enjoy the sight of the setting sun, white sand beach, and turquoise blue water of the sea here. The finest settings at the beach make every visitor to carry some unforgettable memories that they can relish throughout their life. 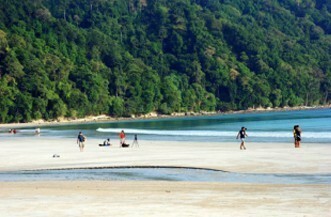 Your visit to the Andaman is incomplete if you failed to reach Jolly Buoy Island. It is a place that is widely popular for its magnificent underwater corals and pure and clean coastline. To reach the wonderful destination, you will have to visit the Wandoor Beach which is nearly 30 kilometers from Port Blair, the capital of Andaman. You need to know that it is a ‘no man’s land’ and you would need to carry all essentials with you there. If you consider yourself as a peace-loving traveler, then Bharatpur Beach, located at Neil Island, should be a must visit place for you. 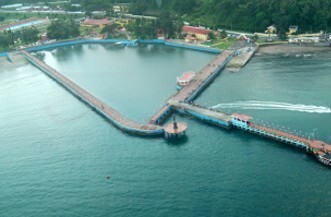 To visit there you need to go Neil Island from Port Blair or Havelock by Govt. Boat or Private Cruise. Known for its peaceful and serene surroundings, people visit this beach for viewing the best Corals and White Sandy Beach. 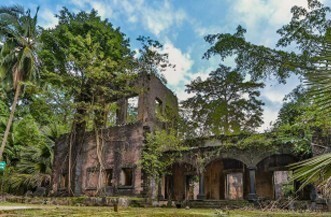 It was the Capital of Port Blair during British and Japanese regime, prior to India’s Independence. It was named after Sir Daniel Ross a marine surveyor. It was nick named “The Paris of the East”. It is now under the supervision of the Indian Navy. There is also a cemetery and a small museum managed by the Indian Navy. 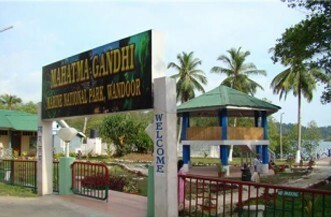 This island is an ideal destination for nature walk amidst sylvan surroundings with deer’s, peacocks and exotic birds. Covering an area of around 282 square kilometers, the Mahatma Gandhi Marine National Park is a must visit place in Andaman and Nicobar Islands. Covering more than 15 islands, the Park is the home of many marine species that have been declared endangered. 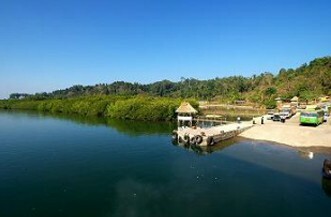 You can always enjoy water sports and other activities at the islands included under the Park. A visit to this place would be a feast of enjoyment for your kids. Name any water sports you love to participate, and you will get them all the Rajiv Gandhi Water Sports Complex. Snorkeling, Jet Skiing, Parasailing, Speed Boat Rides, Banana Rides, and Rowboat Paddling are some of the most exciting water activities that visitors avail to make their visits thrilling as well as memorable. You can get unparalleled support from the local administration here, along with best safety arrangements. You visited the Andaman, and failed to meet the native Jarwa tribe! This is not acceptable at all. Your visit to the exotic Baratang Islands can bring you the opportunity to see the Jarwa people. Your boat ride to the Island can bring you close to the tribal community. 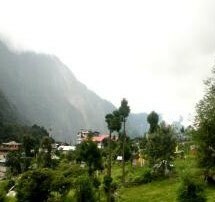 However, you need to trek/walk around 30 minutes to reach there. En route to the Islands, you can also visit the Limestone Caves & Mud Volcano. If you are planning to visit the Andaman and Nicobar for the first time, then Retreat Hotels and Resorts would love to be a companion for you throughout your trip. We have the best Andaman Tour Packages that would bring you an amazing range of facilities. We focus on providing our bona fide clients the best hospitality and real ground level facilities. We never compromise on anything that brings displeasure to the guests. We love to plan and design custom packages for you to explore the wonderful tourist destinations across the Andaman and Nicobar islands.